Heating your home can eat up a large amount of your monthly budget. Loss of heat means you will have to cover up or crank the heat up to stay comfortable. In order to alleviate that burden, here are a few tips that we, here at Bottini Fuel, would like to share with you. Seal up those windows. A simple, economical way to prevent heat loss is to prevent cold air from seeping in, and warm air from escaping. The largest and most obvious culprit is windows and doors. Sealing a doorway is not a good idea, but we will get to those in just a minute. Making sure your windows are airtight is easy, and fast. Remove all window dressings, and, with a lit candle, keeping the flame 6 inches from any surface, go around the edges of your windows. Anytime the flame flickers, there is a good chance you have an air leak. This can be fixed by caulking the window, or, if the surface that has a leak is larger, applying a plastic barrier to your window. You can get those relatively cheap at any hardware store. If you find yourself having to seal most, if not all your windows, replacement might be the solution. It is quite the investment, but you will save over time on heating and cooling, as well as sprucing up the house. Replace the seal on your doors. While completely sealing of a few windows in your house is fine, completely sealing off an entryway is not recommended. You always want to keep entryways clear and functioning in case of emergencies. You can, however, replace the rubber seals on your doors. Make sure you have the correct measurement for your doors in order to create the best seal possible. Floor and ceiling insulation. A lot of cold rises from your floor, and heat is lost throughout your ceiling. Making sure your insulation is adequate is important. If you have access to the basement, consider inspecting your insulation and making sure you have no space or damp spots anywhere. As far as your ceiling is concerned, a trip to the attic is needed. Again, making sure none of your insulation has shifted, no gaps are present, no pressed down portion. Replace any section that is inadequate. Wall Sockets are a big leach too. Using the same candle technique, we showed in the windows section, make sure none of your wall sockets are leaking air. This is a surprising spot and one that is often overlooked. A simple non-conducting foam in there will do the trick. Simply remove the wallcoverings from the socket and follow as instructed by the manufacturer of your foam. Again, easily found at any hardware store. 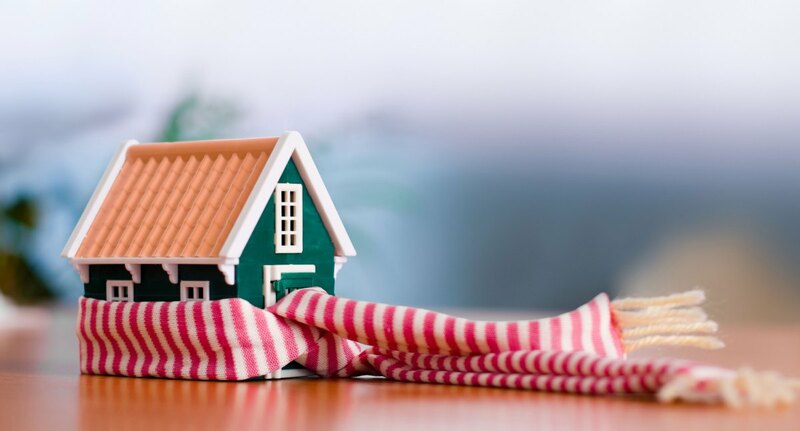 We hope these tips will help you find yourself in a warm and inviting home this winter season. Keeping you warm is our goal, here at Bottini Fuel.